The Idea of the atom were first proposed by the Greek philosophers Democritus and Leucippus around 400 B.C. At that time, there is absolutely no real evidence that support this proposal. Even after 20 centuries later, no experiment was strong enough to verify the existence of the atom. In the 18th Century, the first scientific data on the atom were gathered by A. L. Lavoisier and others from quantitative measurements of chemical reactions. From the experiment, he suggested that there exist some elements which could not be disintegrated into any smaller composition by usual chemical method. He defined this as chemical element. From the results of Lavoisier experiments, John Dalton proposed the first systematic atomic theory. This theory of the atom compose of two basic chemcial laws: the law of constant proportions and the law of multiple proportions. 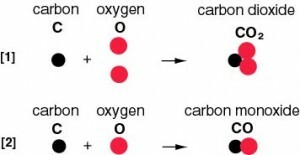 Example: Water is a compound of hydrogen and oxygen. The ratio of the weight of hydrogen to oxygen in water is fixed at the value 1:8, independent of how it is formed. “When two elements A and B combine to form more than one compound, the weights of B which combine with a fixed weight of A are in the proportion of small whole numbers (integers)”. Example: Carbon and oxygen react to form CO or CO2 but not CO1.1 or CO1.2. I am a school pupil, and I have found this website very useful. Keep up the good work- as I say at school, the Higgs Boson is round the corner!! I have always been interested in Quantum Chemistry. Copyright © 2019 Unraveled The Mysteries of Quantum Relativity.